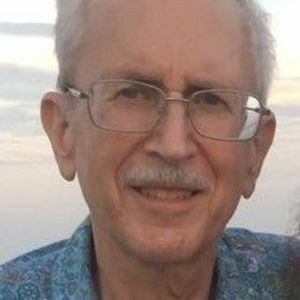 Albert M. "Al" Nash, 69 of Avon Lake passed away Monday, January 21, 2019 after a 3 year courageous battle with pancreatic cancer. He was born May 6, 1949 in South Bend, Indiana to parents Col. Albert and Inez Nash. Al obtained his Bachelors of Science in Chemical Engineering from North Carolina State University and was in the Army Reserves for 9 years as a Captain. Al was the Manager of Environmental Affairs for Energizer, where he retired in 2011 after 40 years of employment. Al was a devoted husband, proud father and grandfather who will be missed for his dry sense of humor. He was an avid reader who enjoyed family, loved traveling and his second home at the beach. He is survived by his beloved wife Jeanne (nee Tilley) of 46 years; loving daughter Amber (Kevin) Kramer; cherished granddaughters Katherine "Katie" and Elizabeth "Ellie"; dear brothers Stephen (Kathleen) and Terry (Reiko) Nash; 2 nieces and 3 nephews. He was preceded in death by his parents Col. Albert and Inez Nash. In lieu of flowers, memorial contributions may be forwarded to the Avon Lake Public Library 32649 Electric Blvd. Avon Lake, OH 44012. Family wishes to thank the many care givers at the Cleveland Clinic.